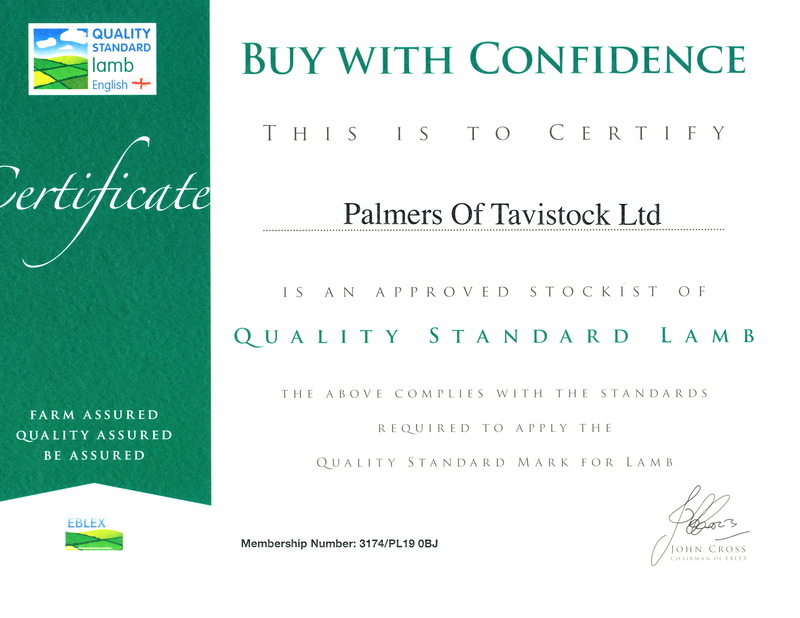 Welcome to Palmers of Tavistock - traditional butchers and sellers of game. Locally produced poultry and meats are our speciality. 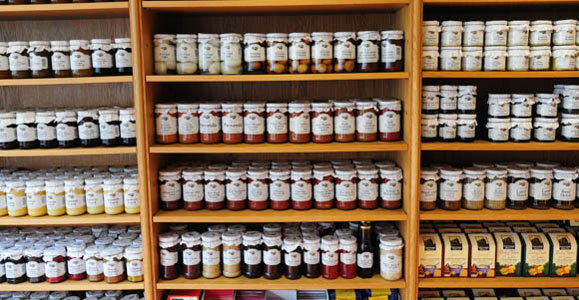 We give personal service and consistent quality, which supermarkets are unable to match. May we welcome you if you are a prospective new customer browsing or thinking of ordering from us now or in the future. If you would like us to cut and pack your own reared meats, click here to be taken to the information page. Earliest records show that there has been a butchers shop at our premises since the late 1800’s. Click here to see more of our traditional butchers history in detail. Our high street shop is situated in Tavistock, within the heart of rural Devon and on the fringes of West Dartmoor. Potential customers are always welcome to visit our shop to see the standard we achieve. Here is your opportunity to be served by experienced butchers and to have your meat delivered direct to your door. 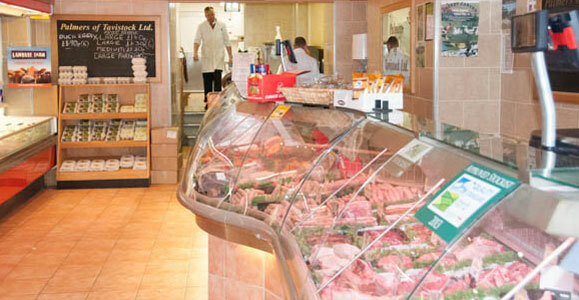 Palmers purchase meat, poultry and game from local westcountry farms and estates in Devon & Cornwall. This ensures that we get 'the best of the best'. It is then hung on the bone maturing the meat correctly to enhance the flavour. Our qualified butchers prepare the meat for you the customer, this is a personal service we are pleased and proud to provide. Why not give a practical gift of a meat voucher. Click on this link to be taken to our voucher ordering page. We also supply Hotels, Restuarants, and other Catering establishments. We do not use second quality meats for these businesses, but the same quality as we sell in our shop. Palmers are members of The National Federation of Meat and Food Traders, a trade organisation which promotes meat to the highest quality standards. We are also members of Eblex (English Beef and Lamb Executive), the new government body that has taken over from the MLC (Meat & Livestock Commission). We have the best quality Devon & Cornish reared meats and we aim to give the best personal service and advice. Our latest rating from West Devon Borough Council for food hygiene reflects the high standard to which we strive to give the best quality and hygiene standards from the time we receive our meat into the shop to the point where it enters your home..